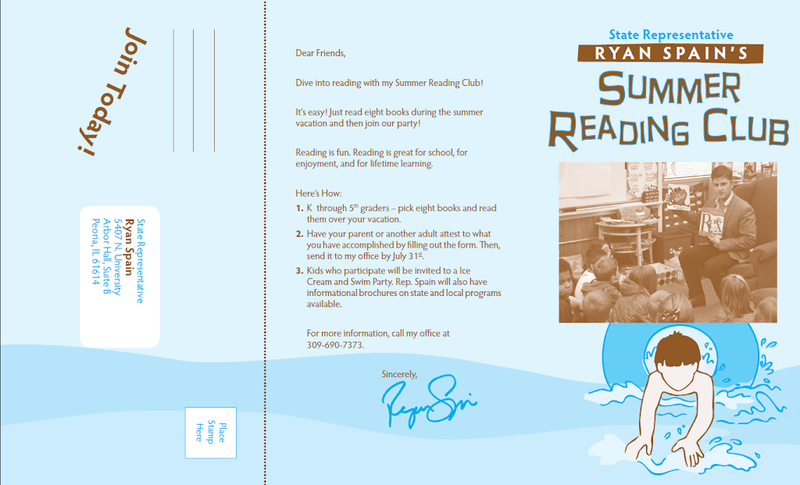 State Representative Ryan Spain announced the official launch of his Second Annual Summer Reading Club Program for grade school students who live within the 73rd Legislative District. 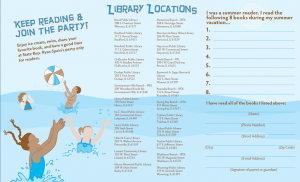 The program is offered to encourage students to read over the summer and promote the lifelong benefits of literacy. 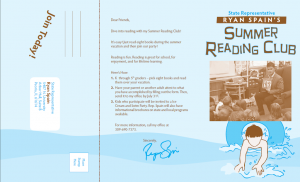 “Students who read over the summer enter the school year in the fall ahead of students who do not read over the summer. 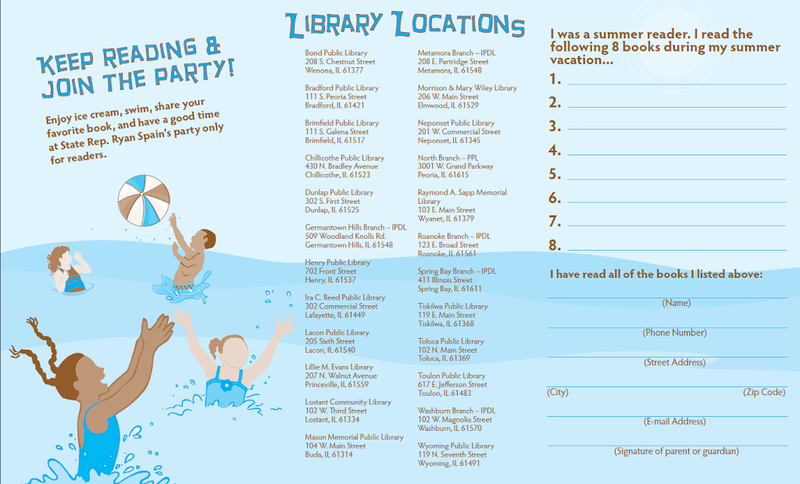 This is a fun way to reward students with a free ice cream and swimming party for simply reading eight books over their summer break and returning a form signed by a parent or guardian to invite them to a swimming party. 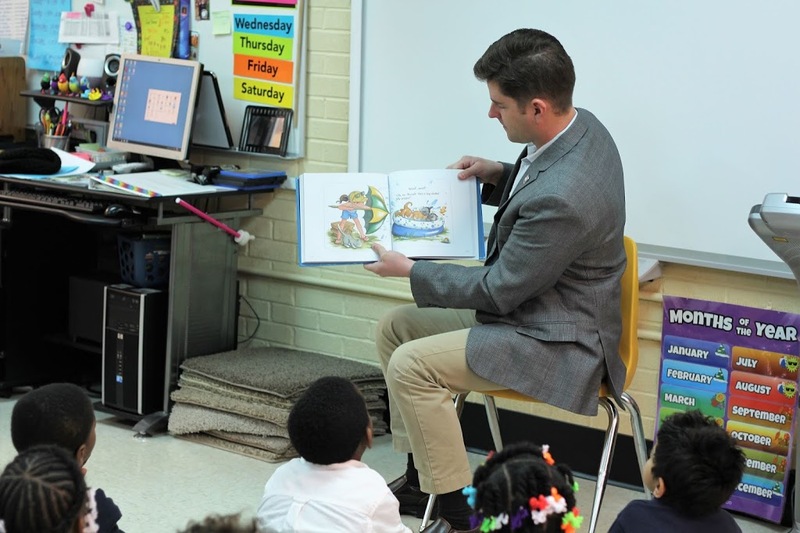 It’s important for all of us in our communities to encourage students to get ahead by becoming better readers,” said Spain. Completed application forms can also be submitted online here.